There aren't many times when I choose not break out the GoPro and grab some footage during a day on the water. 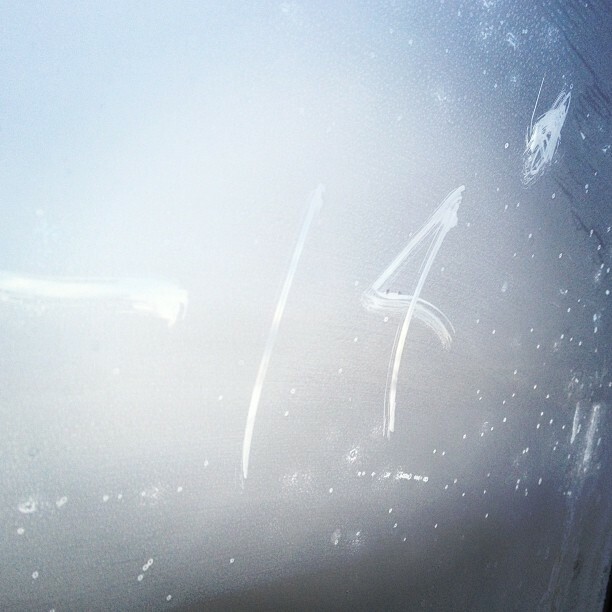 Yesterday, was one of those days. My lack of motivation wasn't a function of a lack of good times, beautiful scenery, or fish. But, days that start around -14 degrees and don't end above zero tend to pare down one's "on the water" habits. In the end, it was a surprisingly productive day on the water with two of the fly fishing blogosphere's finest, Sanders and Matt Smythe. 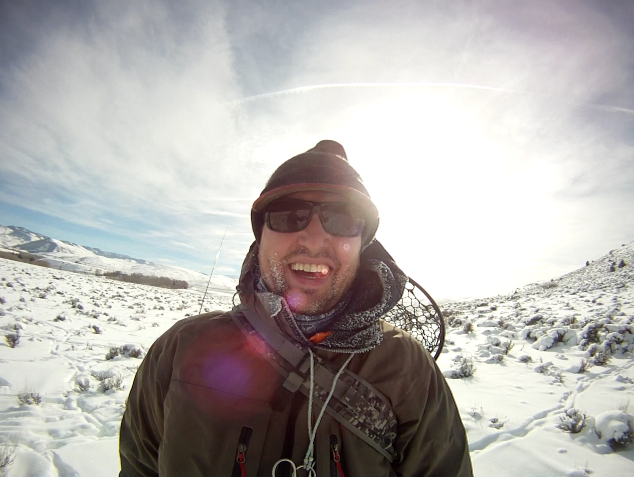 A day filled with camaraderie, icicle beards, hiking through fresh powder, brown trout, and size 24 midges drifting under air trapped in plastic. I would like to introduce a new "feature" here on YGF. "Pro Tips." A new, incredibly "helpful" and "insightful" feature filled with "common sense" "tips." Let the Pro Tipping being. 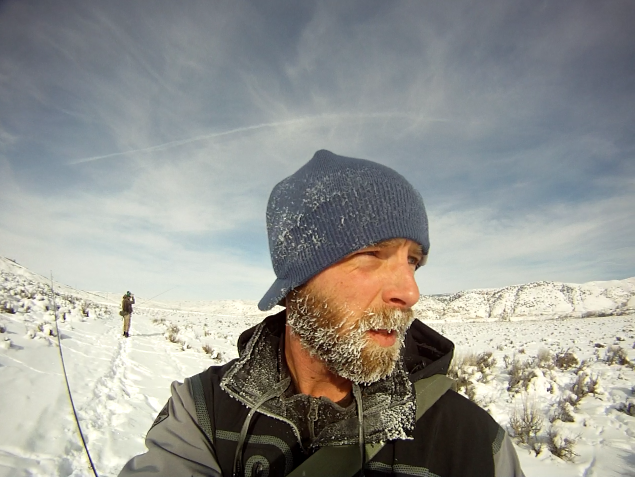 Pro Tip: Don't catch fish when it's -14 F...unless, you want to see your finger hairs freeze. Pro Tip: At -14 F, Rice Crispy treats are bad. Conversely, Pendelton is better than it will ever be. Pro tip: Don't fly on airplanes with an ear infection...unless, you enjoy temporary deafness. Pro tip: Ice that forms in sub-zero temperatures is special ice. It is ice that has gained the ability to resist the powers of 35 degree water. Treat sub-zero ice with respect. Great stuff, Ivan. Good tips and better company. Hope you still have all your toes. Nice outing, guys. 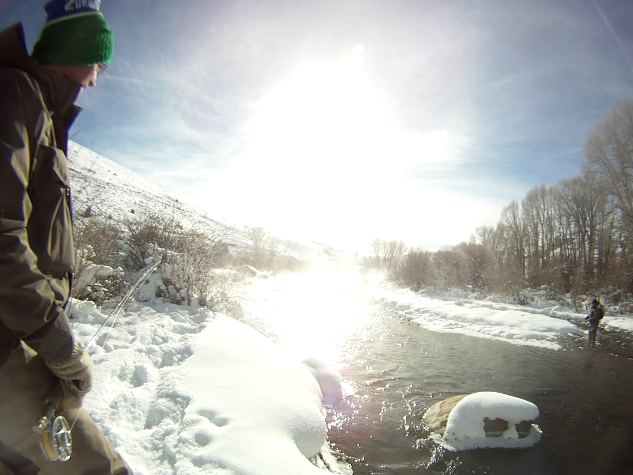 Wanted to fish the Williams Fork when I was out there a couple of years ago, but run-off got the better of us. Glad Matt was able to capture the fun. Nice pics! And I might add that you've ruined it for the rest of us. No one in good conscience can write about a cold day on the water now - especially us south of the Mason-Dixon. Well I'm glad Matt got out while out here "working". Fun times guys! @Mike - Toes are intact. 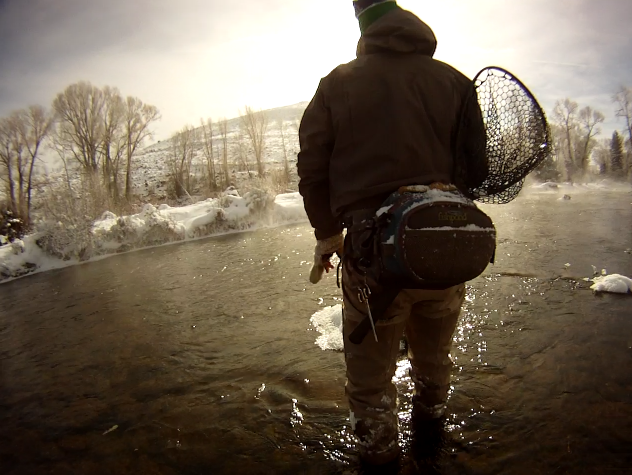 I don't want to speak for the others, but I would have been warmer if I was fully submerged in the Williams Fork. Perhaps, the walk back would have been dicey. @Gin Clear - It was my first time on the Williams Fork. I rather liked it. Well worth another trip out west, sir. pro tips noted. fo sho. now to get me some pendelton's. @Landeen - just add bacon. @cofisher - if only all our jobs were like that. I figured you might shy away from a day with those temps. @D. Nash - offering "informative" Pro tips could be my favorite thing. Great advice- wish it was taken more often. Ohh THAT pendleton (as in not overpriced wool shirts). Way to get out there and brave the frostbite-- looks seriously cold! I remember winters in Alaska nose hairs would freeze. Good fun. Bacon is it's own Pro Tip. Thanks for the photo shouts. That was a hell of a day. Totally one for the record books. The carpet of the hotel room under my pile of boots/waders was literally frosty after I moved them that evening. And yea, @Steve Z, the nose hairs rebelled immediately upon opening the back door. Well I guess getting out in the 30 degree weather here tomorrow doesn't sound bad at all anymore. look totally miserable...and phenomenal. Well done gents.